Last week I discovered I'd come to the end of all the episodes of Bob's Burgers on Netflix, and I was pretty upset. This, of course, led me to finally hunkering down to watch House of Cards at my parents' (and everyone else's) suggestion. When I first tried to watch House of Cards, I couldn't make it through the first episode. 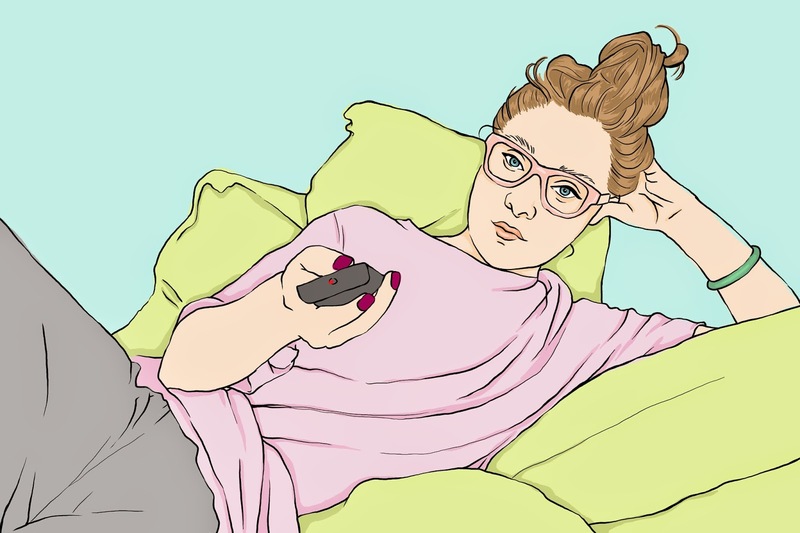 There's a lot of quiet talking in that show, and when I watch TV, generally I'm also doing something else, so I thought it wouldn't be a fit for my spinster lifestyle. What I didn't know, though, was that with each episode there's more and more drama, and it becomes more and more riveting. I'm only in the very beginning of the second season, but already I can tell why everyone is so obsessed. After keeping the babies in the nursery, having a foot massage, and eating lunch, yesterday I returned home to my sweatpants, my dog, and my streaming device. If you haven't watched House of Cards and plan to, then perhaps the below list is something you'll want to skip. But if you have, then I'm sure you've already had all these thoughts. In any case, I had to share a few reflections on yesterday's binge. The credits to this show are way too long. I know, I know. I should be interested in who is in the show, but my gosh! How long are those opening credits anyway? it seems like they take up half the show. She is so fit, and she looks good in basically every dress she ever wears. She's lookin' fit. I know, we've had young presidents, but I think this is kind of an interesting choice. He seems like he's only in his mid forties to me. That's kind of young, I think, but maybe they did that because it would seem more believable that he'd be easily swayed by Frank. Maybe I'm dumb, but I never see where Frank is going with any of his schemes until they come to fruition. Good on you, writing team. I can't believe they killed Zoe Barnes. I knew something really bad was going to happen to Peter Russo, but I thought he'd actually kill himself. Zoe Barnes, though, I really thought was going to be a series-long character, so when she died, I was shocked. I texted my mom about it, even. Miranda seems unimpressed by House of Cards. My dog cannot respect the fact that I really need to watch this show, and it's serious business. So, yesterday I had to appease her by taking her to the dog park where she promptly found the muddiest dog, got dirty, and then got mad at me when I gave her a bath. Such is the life of a spinster.